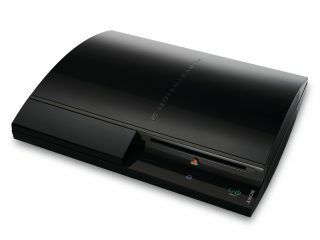 It seems pretty clear that Sony's PlayStation 3 is currently on the up and up, but we're surprised to hear a company exec suggest that its predecessor, the PS2, might get just another year of support from the parent company in spite of booming sales. SPOng reports that Michael Ephraim, the managing director of Sony Computer Entertainment Australia, claimed the older console would soon be on its way out. "We still are going to support PS2 hardware for the full year, we still have a number that is rather bullish, we're not backing off on hardware and we think the software tail will be very strong," he is reported as saying. In other words, a year from now, the company will be hoping that gamers still considering buying PS2 hardware will be persuaded to go for the newer machine instead. Naturally, Sony still intends to sell plenty of new games to the PS2 fan base as well. Whether that perception shift is accomplished through more must-have games appearing for the PS3 or by the seeming triumph of Blu-ray over HD DVD, it will definitely have to be accompanied by a lower price for the console as well.